Longtime fans can now experience the previously uncollected classic tales of Planet of the Apes! Experience the legendary 1970s Planet of the Apes originally published by Marvel Comics, collected for the first time ever, and remastered in prestigious hardcover. 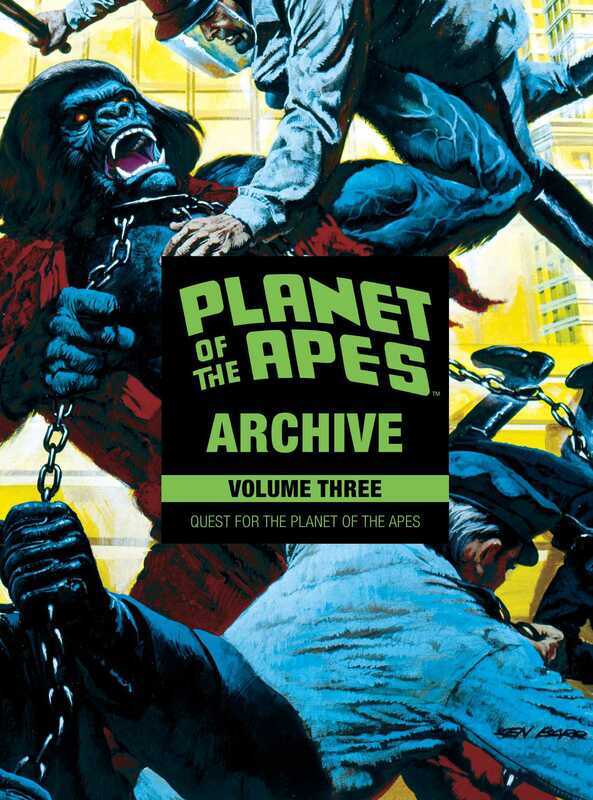 The Planet of the Apes Archive includes the screenplay adaptations from acclaimed Hollywood screenwriter for Escape from the Planet of the Apes and Conquest of the Planet of the Apes by Paul Dehn (Murder on the Orient Express). Both screenplays were adapted into comics by renown writer Doug Moench, the visionary co-creator of the Batman villain Bane, and Marvel’s Moon Knight with art by Rico Rival (Ghosts, Weird Mystery Tales) and Alfredo P. Alcala (Swamp Thing, Savage Sword of Conan). This volume also collects Quest for the Planet of the Apes, bridging the gap between Conquest and Battle. A must-have for any Planet of the Apes fan!